At Paul Prendergast Karate we believe that developing and maintaining a sound body and mind are critical to getting the most out of life. In our adult karate classes you will experience a unique approach to self-defense and exercise that will benefit the body and the mind. Our karate classes for kids are second to none. Our children's program is not your average kids karate class, we have developed interesting and enjoyable methods to keep the students attention, and teach our young students skills that they can use for life. Our MMA training system is designed specifically to develop well rounded students, students who can defend themselves quickly and easily. 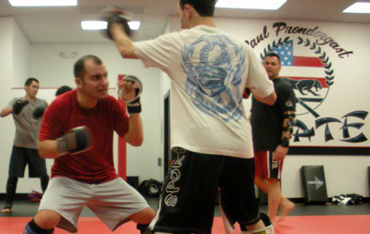 In our MMA classes you will learn to defend yourself quickly and easily, either by standup fighting, defending yourself in close quarters, or be it on the ground. Paul Prendergast Karate Schools teach an eclectic system of martial arts founded on the principles of teaching excellence, personal attention, and tradition, Paul Prendergast Karate provides you with the most complete and effective methods to reach your full potential. Master Paul Prendergast founded Paul Prendergast Karate Schools in 1989. Master Prendergast has been in the martial arts for 32 years, with over 25 years of teaching experience. Master Prendergast's concept was to arm an individual with techniques so they would be applicable and highly effective in modern day society. Since 1989 Paul Prendergast Karate have been helping people improve their lives through the martial arts. The main goal of our karate classes is to enhance self-esteem. We achieve this through building self-confidence, and character, and by developing a sense of respect for others, in addition to teaching incredibly effective self-defense skills. 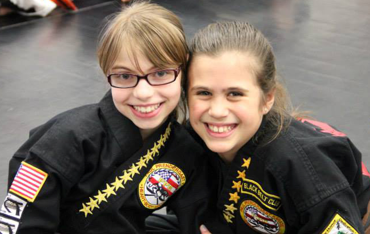 All karate classes focus on Physical Fitness, Self-Defense, and Life Skills. The physical skills act as a foundation for something much more important: the development of value skills, both mental and spiritual. Whether you're interesting in adult karate classes, karate classes for kids or MMA classes, our professional trained and highly qualified instructors provide the ultimate Martial Arts experience to our students. Paul Prendergast Karate incorporates a combination of techniques and principles from a variety of martial arts styles, including, Kenpo Karate, Kickboxing, Jujitsu, Arnis, Submission Fighting and Weapons. All of which provides a student with a well-balanced "street-smart" self-defense system. 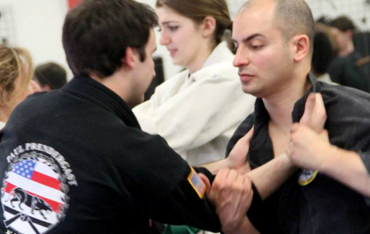 Most other styles tend to focus on just individual areas of self-defense. Combining the best of many styles into a blended system gives Paul Prendergast Karate students the advantage they need to protect themselves in virtually every situation.